Pros and Cons: Should My Teen Work During High School? Should My Teen Work During High School? Growing up, the only time I ever heard the words “allowance” were when they came out of my friends’ or their parents’ mouths. Having two siblings before me who had gone through the same channels, it didn’t come as a surprise to me when my parents let me know I would have to start looking for a job. I was a part-time cashier and barista for both my junior and senior year of high school. There’s definitely two distinct sides to the argument of whether or not your teen should work during high school, and looking back on it I can draw both pros and cons from my own experience. PS: Since you are reading this… we are assuming you a proactive parent wanting college & career success for your child! We want to help you further by sharing the # 1 skill your teenage student needs to have a successful career among other college & scholarship tips in our next live webinar! As of October 2014…Youth enrolled in high school had an employment rate of 18 percent. The following are different skills and attitudes that students can obtain early on from working in high school. Knowing how to effectively communicate and work with others towards a common goal is essential to success in any business environment. While in most jobs it is essential that you have a pre-determined degree of knowledge, technical expertise and skill, without interpersonal skills you certainly will struggle with those all-important relationships. These struggles can negatively impact your career as well as your ability to function as part of a team. Most jobs today require that you be able to engage others, both internally and externally and it’s your social skills that can make all the difference. In most jobs, you will be one member of a team. Whether this be your coworkers, or your employees, you will need to utilize interpersonal communication skills both to preserve the harmony of the workplace and to ensure that you reach your goals and objectives. For most people, their first job will be something part-time and unspecialized. This is because in high school, most of us have little to nothing to put on our resumes that would qualify as actual work experience. A lot of high schoolers will have jobs as babysitters, fast-food and grocery cashiers, delivery men and women for restaurants, etc. These types of jobs usually pay minimum wage, and rarely require a college degree (hence the reason high schoolers apply to them). Taking pride in what you do is a big part of success. 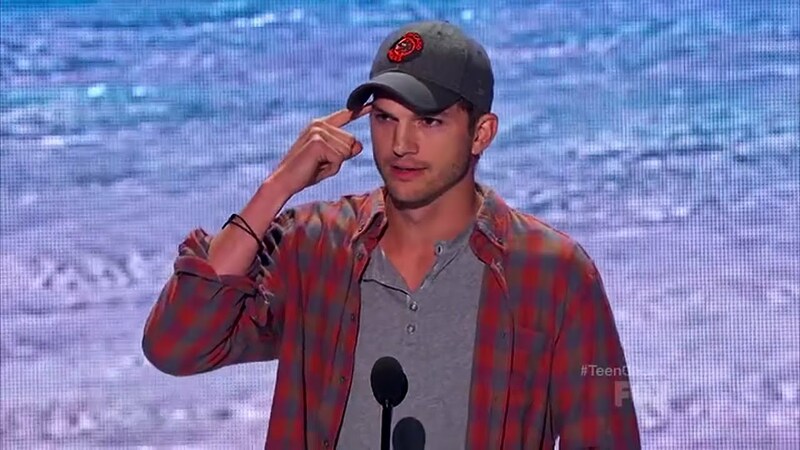 In a surprisingly profound speech at the 2013 Teen Choice Awards, Ashton (Kris) Kutcher highlights 3 key ideologies for teens to follow in life. In one of my favorite lines of the speech, Ashton makes another point about having a strong work ethic. I never had a job in my life that I was better than… Opportunities look a lot like work. Your teen may not be passionate about selling frozen yogurt, or selling discount retail, but they can still draw from the benefits of doing their jobs well. Working their way upwards towards better things is a humbling experience that can help your teen appreciate and excel in future jobs. Imagine this: It’s graduation day. Everyone works — it’s a part of life. But more often than not, the only way for someone to truly understand what it means to spend a lot or a little money is by earning money themselves. It’s not just about your teen recognizing the sacrifices YOU’VE made for them, but them understanding how to be smart about what they spend and knowing that money is earned, not granted. This is a HUGE reason why in our year-long mentoring programming we offer a summer finance class to help students understanding budgeting, investing, and more! We even recently did a podcast where a financial advisor gave tips to teens! Listen to it on the way to school by clicking here! I’m a full-time college student with 2 jobs. I can honestly say if I hadn’t learned how to manage my time effectively early in life, I would not be able to handle 18 credits on top of 30-40 hours a week — and that’s not including my social life! Part of growing up is having a schedule and staying on top of it. By taking a job in high school, your teen can get a feel for what that is like before they hit college. As a result, they may be able to take on more responsibilities and credit hours, and experience the benefits of both! High school can be a very stressful time in itself. 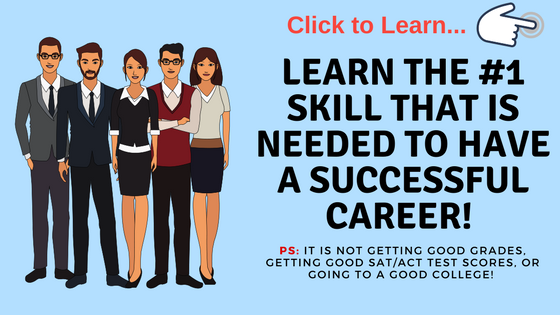 There is a lot of pressure for high school students to excel academically, and with college admissions seeming more competitive than ever, many students feel they must go above and beyond to even have a chance at getting accepted. With so much stress already placed on high schoolers to succeed in their courses and exams, adding 20 hours a week of dealing with difficult customers and juggling responsibilities could tip things over the edge. Worse, stress is proven to have lasting effects on our health. In the short term it can cause anxiety; over long periods of time, elevated levels of stress hormones can degrade the immune system, cause heart problems, exacerbate respiratory and gastrointestinal issues, and bring on chronic anxiety and depression. Even after the last customer finished their meal and left for the night, I was the one who had to vacuum and mop the floors, clean the booths, and prep for the next day’s rush of hungry people. Staying late at work meant I wasn’t at home studying for exams, or reviewing math problems I didn’t understand. It also meant that the next day, I was tired and arguably less focused on the new material I was learning in class. Keep in mind though… elite colleges look at more than just if your student has a 4.0 GPA and perfect SAT/ACT test scores. They want you to have a SPIKE! If you are interested in learning how to develop this spike click here! For most of us, once we start working, we will work for the rest of our lives. High school is a confusing time wedged in-between the last of one’s childhood and the beginnings of one’s adulthood. At 21 years old, it’s hard for me to remember the last time I woke up without obligations for the day, the week, the month, the year. And sometimes I do wonder about how it would have felt to have had just a couple more years of freedom before I started “adulting”. Student Sarah Rodeo from the article I quoted earlier has a similar notion about spending all her time securing her position at an elite university in high school. Does your student want to work? What’s their current stress level? Is the job in line with their future career/will help them get there? Does your high schooler have a job? How has it helped or challenged them? Tell us about it in the comments below! Sounds like you have a wonderful mother! You very lucky. Great article! Experience can not only bolster their resume; they can gain insight into whether or not they will enjoy their chosen career. I unequivocally agree with your assessment about the early exposure/benefits of working during high school. Shahan does raise some good points because each student’s experience and/or family’s circumstance is relative to determining if the former is wise or not. Thanks Marc. Yes I agree as well.